These Trifecta tonneau covers by Extang feature a tri-fold design that offers easy, quick access and maximum truck bed usage. Engineered with precision, these covers feature 45 degree steel corner brackets, commercial-grade rails, and I-beam style Monster Bows to provide unparalleled strength. Their SafetyKlamps feature extremely strong glass-filled nylon construction that will never break, and their ultra-strong MaxHinges have a rugged, double-pivot design and protective padding. 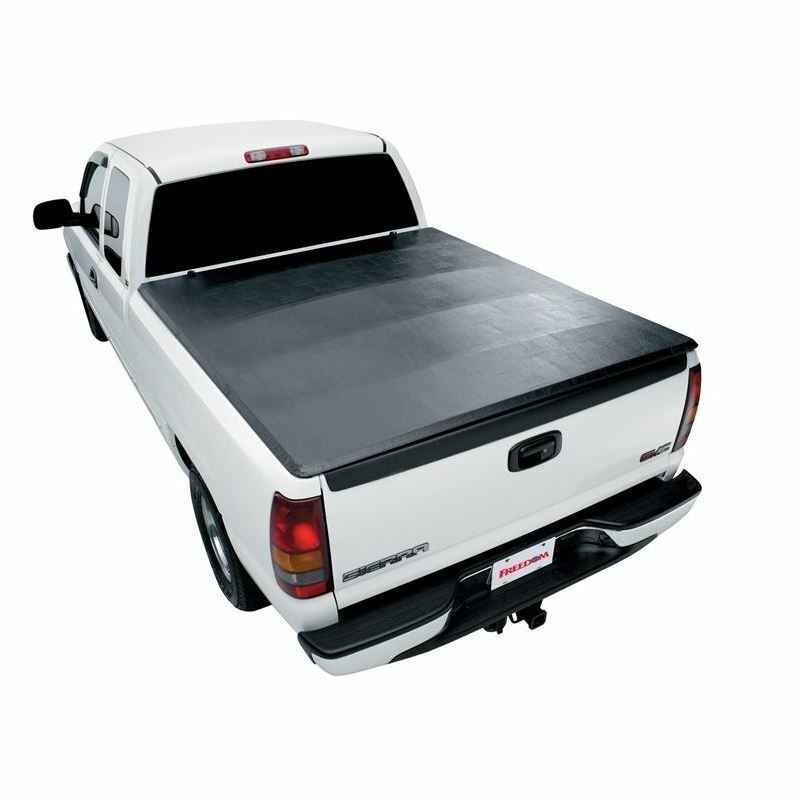 The Extang Trifecta tonneau covers' luggage-style Hold-Tite fasteners secure the tonneau in the open position at the cab to provide quick and easy access when hauling large cargo. No assembly is required-simply position one of the covers on your truck, secure the clamps, and go! Extang Trifecta tonneau covers are engineered to be winners.